The file contains eight numbers. Look at the simplicity and elegance used to implement the sort() method. 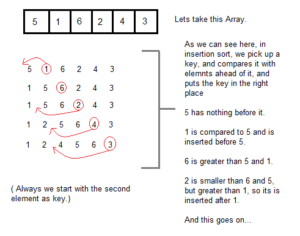 I started from scratch on the code for Insertion sort. Put in the methods specified in the API. Then I implemented them making some mistakes. Eventually all worked. I strongly suggest you do the same to fully understand the algorithm and the approach suggested by the authors of the book. If you have comments or questions, please do not hesitate send me a message via email.